In Episode 1, Dan admires his own heinie, Kent is mistaken for Quasimodo, Matt pays $30 a month to avoid walking 50 yards, and Heath ponders the inevitable doom of all space pioneers. After talking about what our past selves would say to our current selves, I now wonder what the past-future Marty would say to the current future Marty. Fortunately real “Marty” aged nicer than fictional Marty. Fortunately Star Trek proved for all of us that time paradoxes will not ensue if we talk to a future or past version of ourselves, and for the record, Matt, this is the Spock quote that you butchered. 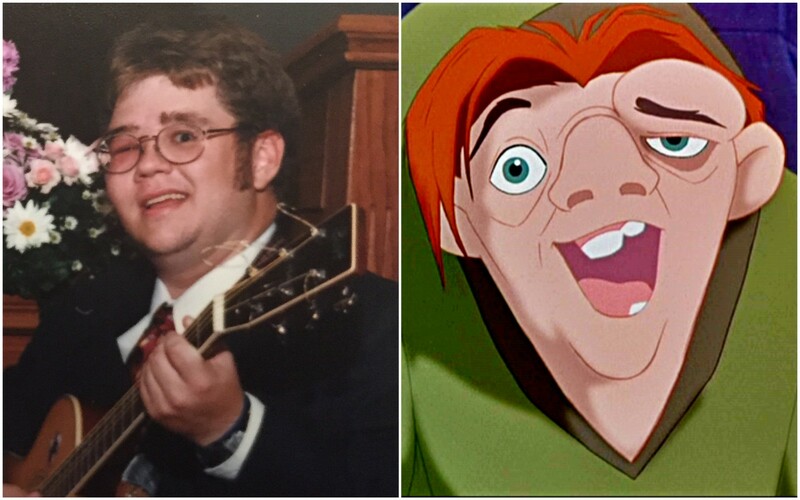 Here is Kent performing as Quasimodo at Heath and Jenny’s wedding and a picture of Quasimodo. But which is which? It’s about time to talk about “About Time,” minus Kents spoiler. Dan says the Island of Singapore has run out of room so they started importing massive amounts of sand and adding onto the island. You know what they say about building your house on sand. Matt says Tom Petty and Sam Smith teamed up with their lawyers to gin up some media attention. Here is a mashup purportedly proving the similarity. What do you think? Kent convinces Matt to sell the farm and retire with Ellon Musk on on Mars. Matt decides that is probably a cheaper option than farming. Speaking as the official Breaking Awesome Scientist, Dan betrays his home state and definitively proclaims that Pluto is not a planet. But for the record it is the NASA New Horizon spacecraft that will be taking up-close and personal pictures of Pluto this summer. Kent provides interesting and disturbing facts about the Parrotfish. Heath welcomes the release of genetically modified flying blood sucking monsters in the Florida Keys. Kent mentions his favorite childhood show, The Electric Grandmother. It looks amazingly terrible, but considering he was 5 when it came out, I suppose we can let it pass. Dan says that the new Fantastic 4 reboot looks better than the original movies. I think it kind of starts like a GE commercial, you be the judge. Wow, Spock really butchered my quote. I gave him too much credit. And who knew I did a better Leonard Nemoy than Leonard Nemoy?